Insurance claims from a severe summer hailstorm that struck Sydney and parts of New South Wales, Australia earlier in February continue to rise, with the Insurance Council of Australia (ICA) saying that claims from damage have now reached AU $186 million (US$140.6 million). The storm brought a number of severe thunderstorms and intense hailstorms across parts of NSW and Sydney and, the ICA had previously said that the event had resulted in an insurance and reinsurance industry loss of roughly AU $42 million. However, the latest update from the ICA notes that insurance claims from the damages has increased by more than 340%, to AU $186 million from a reported 48,000 claims. 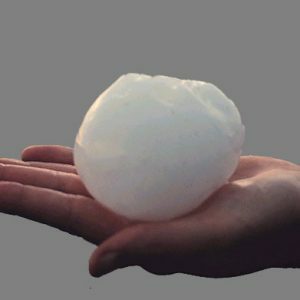 The majority of the claims come from residents in the Hills district, north Sydney, and were mostly for damaged homes, cars, and damages to roofs and windows from hail. The ICA has also said that it expects these figures to increase further as more and more policyholders continue to contact their insurance company to file claims, so it’s likely insurance and reinsurance firms will want to keep a close eye on the loss development, as well perhaps as certain ILS funds through collateralised reinsurance arrangements. It seems that convective and severe weather in Australia is increasingly hitting re/insurers and ILS funds, in recent years, with reinsurance arrangements paying a substantial volume of claims as a result of summer hailstorms in Sydney, and elsewhere in Australia. Furthermore, Sydney is expected to experience heavy rains this weekend with more storms anticipated to strike the region, suggesting that homes already affected by the earlier storms could be in danger of damage over the coming days.